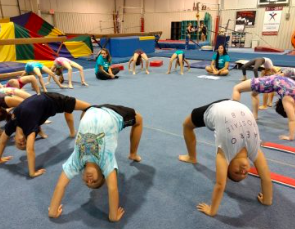 The school age program is designed for the beginner through advanced level gymnast. Gymnast will train on all Olympic apparatus. Strength, flexibility, coordination, and confidence are the main focus of the class as well as the appropriate level of gymnastics skills.